Online Induction and E-Learning Systems come in many forms but the main functions are the same. 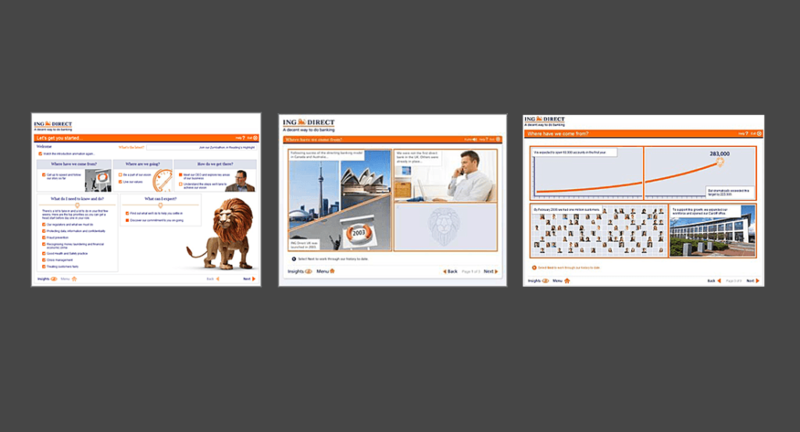 Example mock up of an Online Induction and E-Learning system. Inductees log on, watch engaging instructional videos that deliver the necessary information and training, then answer questions after each clip. As a result this demonstrates that they have understood and absorbed the required level of knowledge. 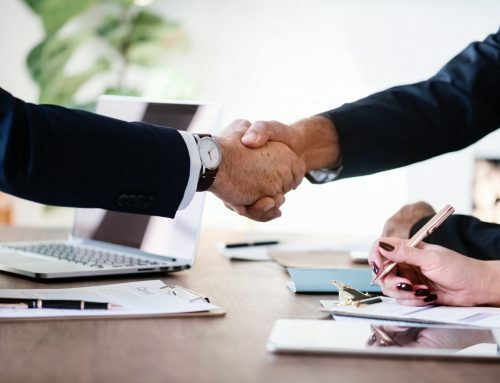 Records are created for all inductees these include their pass score, the induction expiry date, which areas of the site they have access too, and their current training certificates. 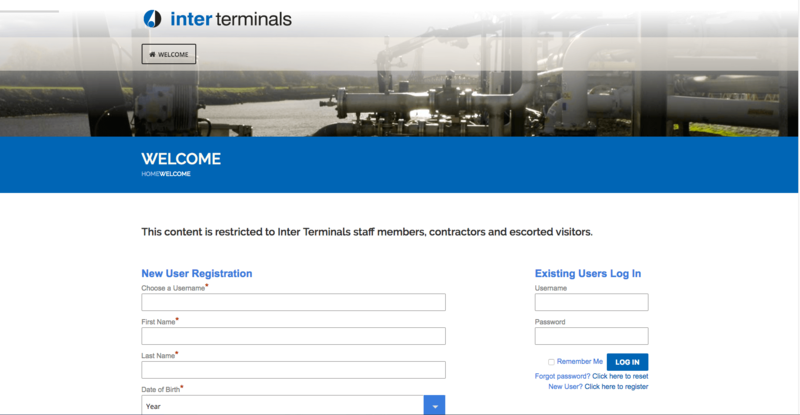 Inter Terminals – Produced by Resolution Television. This induction training video takes place in a virtual studio with a main presenter guiding the inductee through the training processes. The presenter is captured against a green-screen and superimposed into virtual environments to lead the training. On site client location shoots mixed in. These are used to incorporate training demonstrations into the video links. Ready-built in courses. Additionally these are customisable to your brand. 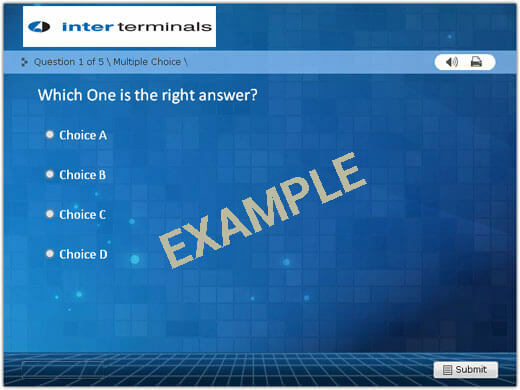 The video links into a number of multiple choice questionnaires that appear after each video segment. Interactivity. Induction system is designed with knowledge of cognitive processes to engage the learner and retain interest. As a result, trainees are rewarded with certifications on successfully completing a segment or full health and safety course. Also, the system consists of administration, user setup and management. 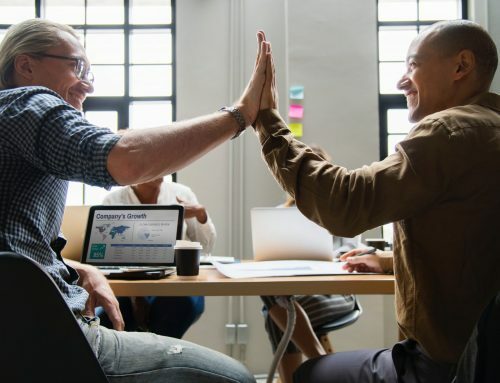 Employees can access the portal for induction training before they start on the job and continue with their learning journeys after their induction. Furthermore courses are built with adaptive tools which means content can be accessed from a range of devices. 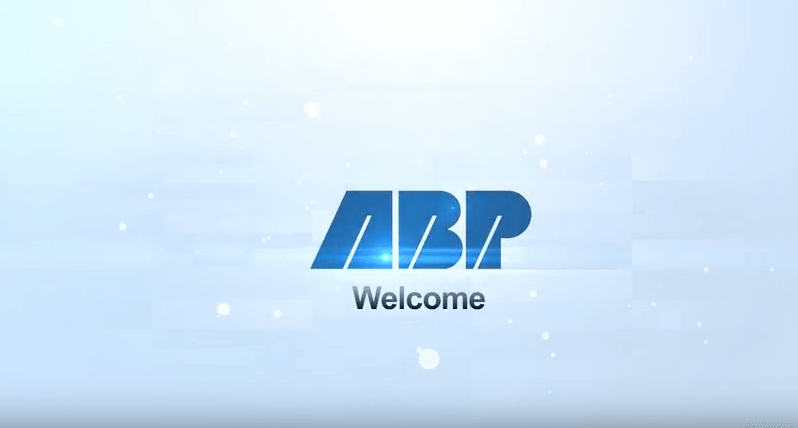 ABP – Produced by Resolution Television. 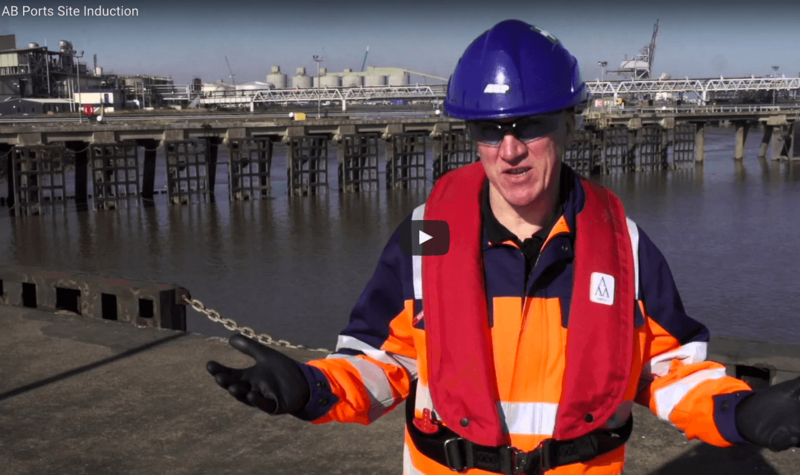 This induction training video takes place on location at various sites with a main presenter guiding the inductee through the training processes. Video driven. The presenter is filmed all on location at the clients base and represents an on site safety training instructor. On site at client location. These links to camera are used to incorporate training demonstrations into the on site video links. Ready-built in courses. 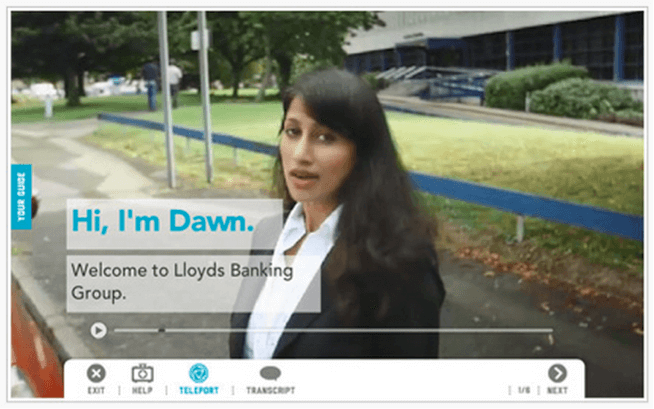 Additionally, these are customisable to your brand and appear after each on location video clip. Multiple choice. The videos link into a number of multiple choice questionnaires that appear after each video segment. Courses are built with adaptive tools which means content can be accessed from a range of mobile devices. 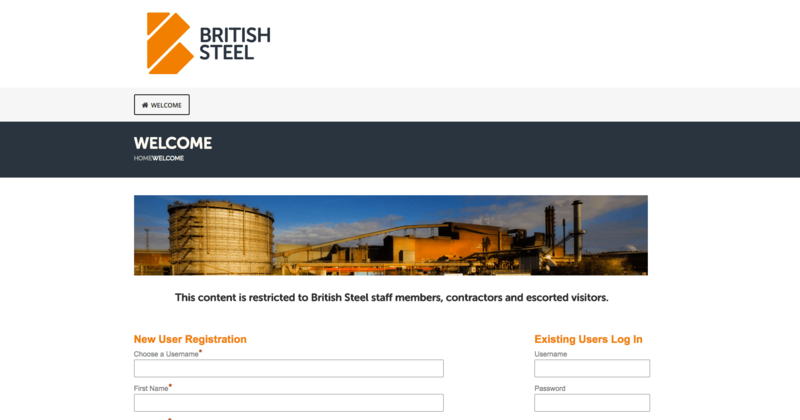 British Steel – Produced by Resolution Television. In addition trainees are rewarded with certifications on successfully completing a segment or full course. The instructional approach to this course is to present the information as a portal. Due to this unique approach, learners can choose their own path of development. Good use of company branding though it could be more exciting to look at. As a result we would suggest this being a bit more design led. 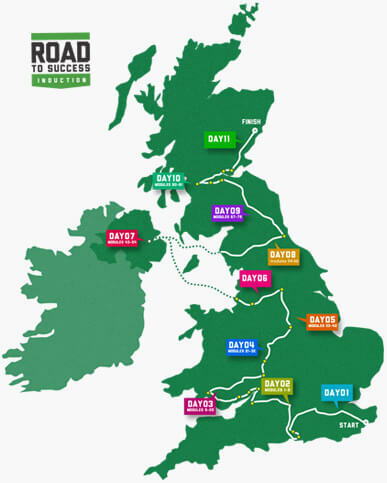 High-end video using a road trip concept to take new recruits through on boarding. Also the system consists of strong scripting and story boarding using real world scenarios to help learners build empathy with customers. Another feature is the Pop up video consisting of real people providing tips. 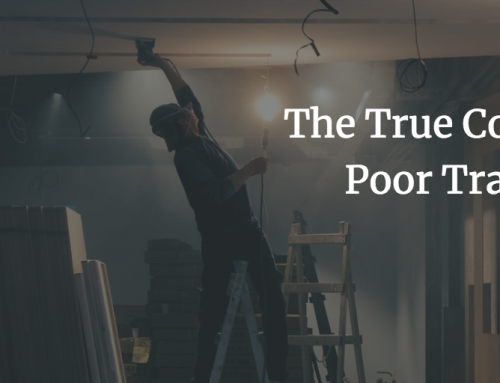 In conclusion the only downside is that you do have to trawl through lots of modules to get to the bit where you want to practice a specific part of the bank’s system. So do you need help with your companies Online Induction idea? 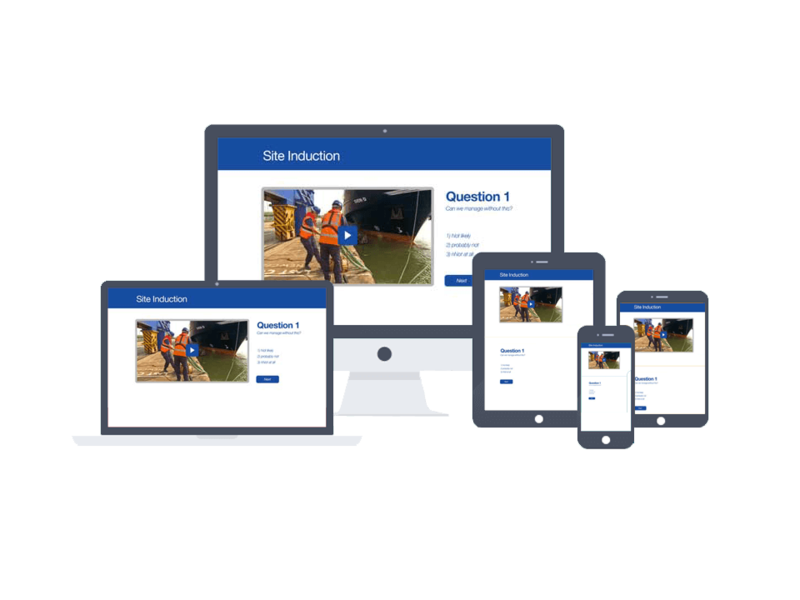 Take a look at our Online Induction and E-Learning Video and find out more about how we can help with your companies Induction and E-Learning systems. Or give us a call on 01724 376002 and see how we can help your workforce succeed.